Tips on dealing with suppliers. Free solicitors advice! As a small business owner, we often feel that we have to accept the terms of business that suppliers send to us. Or perhaps we question something only to be told by the supplier that these are their standard terms and they never change them and at that point we roll over and accept their terms. Or, as is often the case, perhaps we don’t give their standard terms more than a passing thought, in many cases not even reading them. Well I’m here to tell you that you don’t have to accept your supplier’s terms as a fait accompli and you don’t need to be afraid to negotiate where necessary. It would be unusual for the supplier to walk away from the deal simply because you want to discuss and negotiate the terms on which you are prepared to do business. So when you are dealing with suppliers, do ask them for their terms of business, do read the terms of business, do understand the terms of business and do question, clarify and negotiate the terms where necessary. This is particularly important where you are tied in to an agreement for any length of time. Be sure to check any initial periods where you can’t serve notice to terminate, a lengthy notice period or inadequate termination rights. And do look out for wording that means that if you miss serving notice on one exact day by the specified method that the contract rolls over for a further initial period. If you have an initial period of 2 years and miss that one day on which the notice should be received by the supplier, you could find yourself unwittingly tied in to a contract for 4 years. If you’re working from home and BT or Virgin are supplying your home broadband, it’s unlikely to be practical to negotiate that contract – but as you will probably be able to terminate the contract on 30 days notice, it’s not the end of the world. But for suppliers who are tying you in for a lengthy initial period, perhaps with minimum purchase orders and a long notice period to terminate, you need to be really sure that the contract works for you. You might be happy to be tied in for a long period because you are getting a lower price but do make sure that your termination rights are adequate, because if you are stuck with sub-standard services and no right to terminate, that deal you did on the lower price might not look so sweet. The termination rights that you need to insist on are that you have the immediate right to terminate for material or persistent breach of contract and on the insolvency of the supplier. The supplier may demand that they be able to remedy any breach (usually this is within a period of 7 or 14 days from your notification to them of the breach) but this may result in an unsatisfactory state of affairs where the supplier is persistently breaching the contract (for example by failing to meet service levels) but then remedying them so that you don’t have the right to terminate, with the end result that you have to live with the detrimental effect that the failure to meet those service levels is having on your business. There is very often a question mark over whether poor service is actually a breach of the contract. If the specification of the products or services isn’t clear in the contract, then it will be much easier for the supplier to argue that they aren’t breaching the contract. So try to be as detailed as possible about the products or services that your supplier is providing you with, so that it is clear that by not meeting that specification or service level, they are breaching the contract entitling you to terminate. 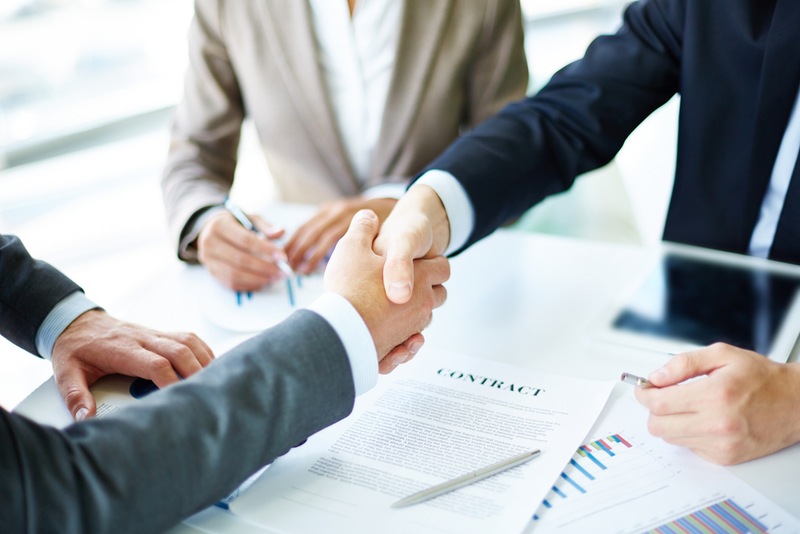 Have you successfully negotiated with your suppliers? Did you try to negotiate and they walked away? 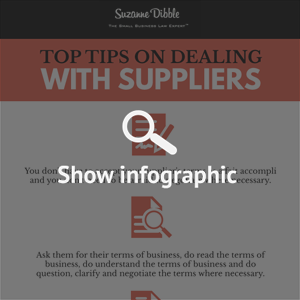 Have you been caught out by a term in a supplier contract that you don’t understand? Share your comments here and let other small business owners have the benefit of your experience. ← Previous Post 7 reasons why you need killer terms of business Next Post → Converting from sole trader to limited company – when is the time right?